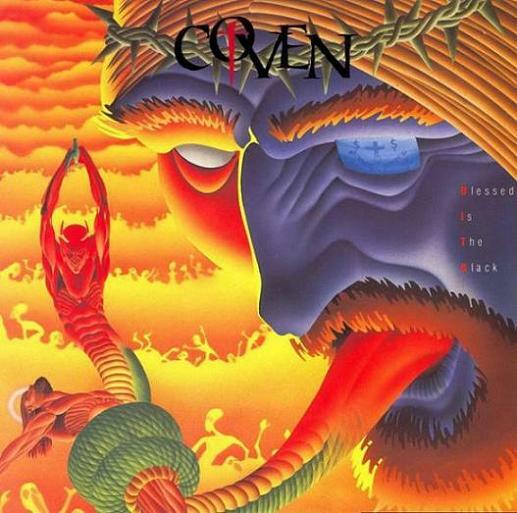 Coven is a psychedelic rock band, composed of vocalist Jinx Dawson, bassist Oz Osborne (not to be confused with Ozzy Osbourne of Black Sabbath) and drummer Steve Ross. They had a top 10 hit on Warner Brothers Records with a cover of Original Caste's "One Tin Soldier", which was used as the theme song to the 1971 movie Billy Jack. Jinx Dawson was a native of Indianapolis, Indiana who began studying opera and the occult in the late 1960s. She, Ross, and Osborne formed Coven in Chicago in the late 1960s. They were signed to Mercury Records, where they put out their first album, Witchcraft Destroys Minds and Reaps Souls in 1969. The music on the album was, for the most part, standard pop psychedelia; what made it distinctive was the heavy emphasis on diabolical subject matter, including songs such as "The White Witch of Rose Hall", "For Unlawful Carnal Knowledge", and "Dignitaries of Hell". The album concluded with a 13 minute track of chanting and Satanic prayers called "Satanic Mass". This content was considered highly unusual for the time. Unwanted publicity came to the band in the form of a sensational Esquire magazine article entitled "Evil Lurks in California," which linked counterculture interest in the occult to Charles Manson and the Tate-La Bianca murders. As a result, Mercury withdrew the album from circulation. Good luck returned to Jinx Dawson when Tom Laughlin asked her to record the "One Tin Soldier" song, originally by Dennis Lambert and Brian Potter of the Canadian pop group Original Caste, for his Billy Jack movie. This song charted three times; first in 1971 (#26), a new version in 1973 (#79), and a re-entry of the original version in 1974 (#73) on the Billboard Magazine's Hot 100, and was a top 10 hit in Cashbox.The song was named #1 Most Requested Song in 1972 by American Radio Broadcasters. Coven released a self-titled album in 1972 which featured "One Tin Soldier" along with "Nightengale," penned by Jinx Dawson, which charted as a hot pic on Billboard & Cashbox. A third album, Blood on the Snow, was put out on Buddah Records in 1974.One of the 1st music videos ever made directly for an album title song was produced by Jinx and the Coven with Disney Studios. 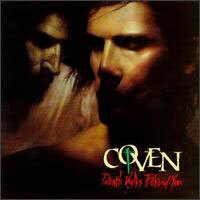 In 1990 Coven appeared in the film "Heaven Can Help" with Jinx in a starring role. She wrote all the music and along with original drummer Steve Ross, new members were added to the Coven which appeared in the film. Jinx Dawson continued to pursue a career in acting with a minor, uncredited role in the movie Cool World. She returned to music after several years as caregiver for her terminally ill father. She is set to film a PBS Special called The All time Biggest Movie Title Songs and she will soon release a live CD from Coven's infamous occult days.